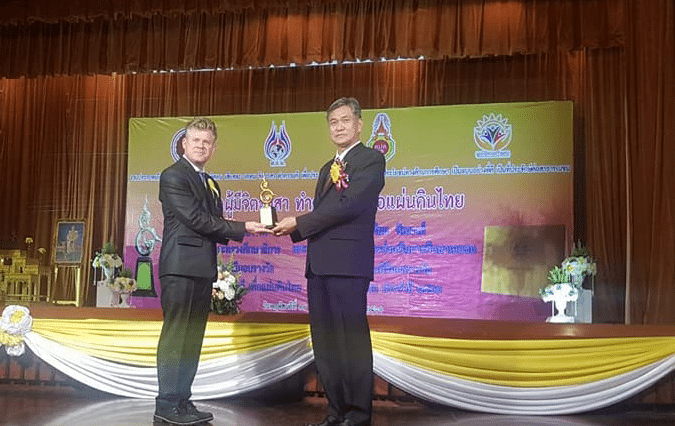 In a show of respect and gratitude from the Thai education establishment, Entrust TEFL was awarded the prestigious ‘Education Excellence Award’ by the Teachers’ Council of Thailand. The Award recognizes the huge contribution Entrust programs make to Thai education, training foreign teachers to a high standard and providing English language teaching excellence to Thai classrooms nationwide. The award ceremony took place at Khurusapha, the headquarters of the Teachers Council. Entrust TEFL founding directors Neung and Patrick McNaughton were also extended the honour of an invitation to spend the night within the Khurusapha walls before the ceremony. 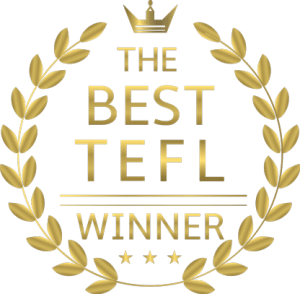 Usually reserved for high ranking officials, sharing the evening along with Council members at the facility was particular special, demonstrating that Entrust TEFL is now considered a valued part of the Thai education system.